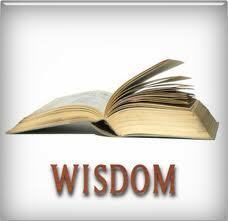 Spiritual Leadership Principle: One of the greatest qualities of a Christian leader is to have Godly wisdom. The best example of a person who had wisdom and how we can gain it is the story of King Solomon. Imagine if you had been given that much power at 12 years old. What would you ask for? I believe most people, including myself, would be self focused and ask selfishly for possessions or material things that would only benefit themselves and family. Dictionary.com defines wisdom as “The ability or result of an ability to think and act utilizing knowledge, experience, understanding, common sense, and insight.” The Hebrew word for wisdom means “skill in living” which in most case implies time (years) is a requirement for gaining and having wisdom. However, the above story shows God is the provider of true and lasting wisdom. King Solomon had the right motives and heart so God provided him with the ability to have good judgment, right discernment, and knowledge and skill to be able to lead the nation well. Strong faith + Godly wisdom + right choices = A leader who has character and good judgment which provides the leader with sustainable influence and positive impact. The main priority as a leader and person of faith is to serve and love God with all our life. In Matthew 22 Jesus taught the greatest commandment is to “love God with all your heart, soul, and mind.” God will guide, direct, and lead us down the right path if we have Him at the center of our life and action. The result of following this commandment leads to a leader having character and integrity. The second should be to grow in wisdom so we can positively influence and impact those around us. One of the greatest prayers a leader can pray is for wisdom. When we come to God with pure motives and ask for wisdom He is faithful to grant it to us. The key is to always be praying and asking for Godly wisdom. Questions: Do you pray and ask for Godly wisdom? How has having wisdom helped your leadership? I do pray for wisdom, perhaps not as often as I should, but I do. As for how it has shown itself? Hmmm I don’t know if I can put a finger directly on one specific incident. In my ministry, especially here which was something totally new for me, it has shown itself time after time. Good post Dan. Looking forward to more. I think the years you have faithfully been in ministry show the favor and wisdom of God in your life. So your entire ministry is a result of Godly leadership and wisdom. I pray your knowledge and wisdom increases (because we all can use it no matter how wise we are). Thank you for being a faithful reader and supporter. I’m with Bill. I pray for wisdom, but not near as often as I know I should. It’s easy to want to do things on our own power, but the heart of wisdom is fearing God. It’s understanding our need for him and our total helplessness in anything we do in our own strength. Great point about the “heart of wisdom” I totally agree. Thank you for adding to the post. On my prayer board I have: wisdom, spiritual gifts, and a humble heart. Those are all important areas to pray for Todd. Thanks for sharing them with us. I pray for patience and tolerance as much as wisdom. What a great request – patience is a never-ending pursuit. I’m challenged with it by my children, my spouse, my work, my commute, and all aspects of life. Yes, and i think patience and tolerance are essential to wisdom. Oh, but I still have a long way to go. I agree with you about patience. Great things to be praying for Dan. Each is important. What a huge question! I believe the result of our seeking wisdom is revealed in our decision-making, our choice of words, and our interactions with one another. I like to believe that I’m who I am and where I am because of seeking after Godly wisdom. I totally agree, our wisdom or lack of wisdom shows up in what we do and say. Great thoughts. Thank you for reading and commenting. Excellent post, Dan. The verses from Proverbs kept running through my head as I read this. “Fear of the Lord is the beginning of wisdom.” God is the beginning and the end. Wisdom the way we as Christians use it, is different than the secular world. They use wisdom when they often mean worldly enlightenment. Which of course when not based on Biblical principles is folly. Folly is the opposite of wise, a fool. That’s a great passage Floyd. You shares some sounds and wise truths. It’s amazing people seek and rely on “folly” or “worldly enlightenment” when true and lasting wisdom only comes from God. Godly wisdom is a special gift for people of faith. Thank you for reading and sharing your thoughts. This past year my spouse and I began praying for wisdom and discernment. In response to our seeking, God has been revealing His word to us in powerful ways. Our Bible Study times are blessed because we seek Him and desire to share His love and knowledge with those around us. I love that you emphasized his age. I can’t think of any 12 year olds who would ask for that. I believe Godly parenting helped bring him to that place of humility before God. Daily I feel God telling me that in everything we are dependent upon Him. While I’ve always “known” that in my head, it’s starting to take root in my heart. Love your comments. SEEK GOD FIRST! That’s great to hear and it sounds like your reaping the benefits from gaining and having Godly wisdom. How powerful is that when a couple pray for wisdom together, super cool! I agree, Godly parenting did help. I think David’s example really allowed him to already have seen a successful and wise king in action and it really helped him when he took over. Thank you for reading and sharing your wisdom with us. I have but need to more. This is such a great post and one I will be thinking over. I wouldn’t have asked for wisdom either. I encourage you start praying and asking for more Godly wisdom bro! Glad the post resonated with you. Thank you for reading and commenting. James 1:5 – If any of you lacks wisdom, let him ask God, who gives generously to all without reproach, and it will be given him. Two thing stand out to me 1) the wisdom of God is available to us 2) we don’t ask for it. Appreciate the reminder to link our prayers for wisdom with our leadership roles. Great passage Tom! Great points and thank you for sharing them. One thing that strikes me about Godly wisdom is that it’s no respecter of age. In life, I’ve come across many young people that are wise beyond their years. When one’s heart is set on God, God sets His heart on you. Great post. I agree Ngina. It’s all about being humble and asking God for it. Thanks for reading and sharing. I believe that when we pray for wisdom, God will put a desire to learn in our hearts. If you read through the book of Ecclesiastes, which some if not most people believe was written by King Solomon, the writer spends time learning and exploring. Thanks for sharing, Dan! I totally agree, in the second part I’m going to touch on how to grow in wisdom and one way is through learning. Thanks for taking the time to read and share. Yes, it has been a while. It’s great to hear from you. That is interesting. I wonder how many years it was from from those 8 years? I think wisdom is having good judgement, common sense, knowledge, and insights for life and the situations we go through. I hope you have time to visit again soon:) Have a blessed Christmas. Those are produced when we live in close relationship with God and have discernment. I would need to know the entire context of the reference before answering that one. The question is confusing to me. Dan I really like the idea of “skill in living”. Read through the book of Proverbs in Hebrew when I was in seminary and my professor (who helped translate the NASB) keep pounding us with that idea “skill in living” based upon the truth of God’s Word. Me too Caleb. The book of Proverbs is full of golden wisdom and insights. WOW, Thank you so much. Your such a blessing. I am so glad I’ve read your posts on wisdom Dan. I have asked God for wisdom, I need to make it a daily conscious prayer. It has helped me make decisions about how I live my life as a young person. I also learned so much from reading God’s word in my quiet time. A question Dan – can we have knowledge without wisdom or vice versa or are they inter-related? I’m glad you enjoyed it. Great additional passages. Praying and reading the Bible are key elements to being a strong Christian and growing in wisdom. That’s a great question. I think they are closely but not fully inter-related. I think knowledge only goes so far though and we can only gain certain or some new insights/thoughts/revelation from God and reading His word. That’s the short answer. How about you, what do you think? Dan, thanks for answering. Its a question that probably needs more reading I guess knowledge has no end and we gain it by study and being taught. Wisdom is a gift from God and we need to seek it from Him. I think they go hand in hand, James 3:13-17 has awesome insight on that. I agree, wisdom is a :gift from God.” I really like his commentary. Thank you for adding to the conversation. I appreciate it. You are welcome Dan. It’s great learning from you.